School’s out for summer, which means you may not always be in the same room as your kids when they’re watching TV. The good news is you can still make sure they’re not tuning into something you wish they wouldn’t thanks to TDS TV’s parental controls. Parental locks allow you to control the type of live or recorded TV programming your family can watch. These controls can restrict programming based on channel, content, and/or rating (click here to learn more about the TV rating system). Another perk is that TDS’ parental locks can be overridden at any time using a Personal Identification Number (PIN), so you don’t have to worry about missing out on your favorite late-night show. 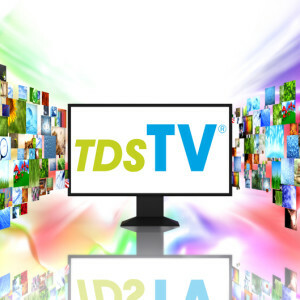 Follow the steps listed below to set up parental locks on your TDS TV. Select “Parental Controls.” You’ll see “Parental Locking” listed. If no lock is shown near the words, no PIN is set up and parental locking is not in effect. If there is a lock image, that indicates a PIN is already set and parental locking is in effect. Use the number buttons on your remote control to enter a four-digit PIN. When typing your PIN, you can press the DELETE button on your remote control to erase the previously typed digit. Enter the PIN again to confirm it, when prompted. Note: If a PIN is already established, you must enter the correct PIN to access the Parental Locking Settings Screen. The Parental Locking Settings screen will appear. Using your remote control, navigate through the categories to lock adult content, specific channels, movie and TV ratings, and/or unrated movies and TV programs. You can also change your PIN and turn parental locking on or off. Use the ARROW buttons to select “Change PIN.” Then, press OK on your remote. You will be returned to the main Parental Locking Settings screen. If you are finished setting up parental locking, navigate to “Lock” and then press OK on your remote. For more information about using parental controls, see pages 15-19 in the TDS TV User Guide.